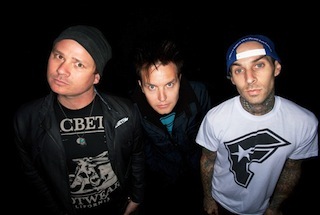 Blink-182's Mark Hoppus and Travis Barker confirmed on KROQ this morning that the band will indeed perform their 2003 self-titled album in its entirety (as well as Blink classics) at the Hollywood Palladium in Los Angeles, CA on November 6th and 7th. You can listen to the pair's interview in full below. More details about both shows can be found here.